On this trip toward freedom, the latest member of the group, Gin Del Sol, must wrestle with the complex timing of the music as well as the complicated times in which she lives. 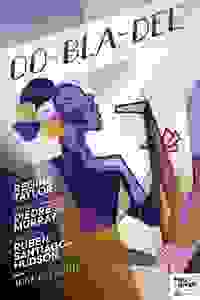 "Oo-Bla-Dee" is written by Golden Globe Award winner Regina Taylor, featuring original songs by Taylor and Obie Award-winning composer Diedre L. Murray, and directed by Tony Award winner Ruben Santiago-Hudson. Members can score “Oo-Bla-Dee” when previews begin.